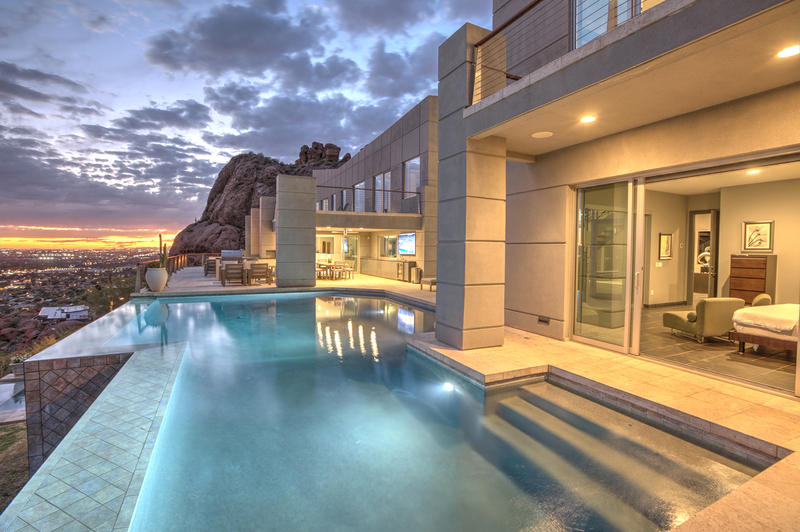 Luxury Rental is a term thrown out there a lot in the vacation rental space. However, what really makes a listing luxury? How are the changes with the OTA’s (HomeAway/VRBO, and Aribnb) affecting the luxury Market? What can owners do to provide a better experience and create a true luxury experience? What is Tripz.com giving to owners that other sites are taking away? These are just some of the topics of discussion. One of the big areas of the discussion between Heather and Ryan was really to talk about luxury, and what that means when it comes to vacation rentals. Many think ultra-expensive homes nestled in exclusive locations. Truth is, luxury can come in the form of something as simple as a two bedroom condo, but the main difference comes down to guest experience. Ryan got his start as a real estate investor looking for someone to manage his luxury property and found that the providers available did not have services up to par with what travelers really are looking for. The need for open communication and transparency, not only between him as an owner and property management company, but between the guest and who they are booking with is something he really has a focus on. The idea of transparency is something Ryan carried on as he built his property management company and his overall approach to the guest experience. This same mentality flowed into the core value of what Tripz.com offers to both travelers and owners. The guest experience is what pushes a rental from just another rental on the market to a luxury rental. Focused on guest experience, Ryan references many simple things owners can do to create the feeling of luxury to travelers. Much of that comes from the key point of communicating with guests from the first conversation all the way through check out. He talks about the process Tripz.com follows: calling the guest two weeks before arrival, two days before arrival, the day after check in and again before they check out. This may seem excessive, but it’s all there to ensure the guest needs are covered and they are getting the level of service top accommodations provide. The importance of the booking discussion is also touched on, and how the communication restrictions on Airbnb and HomeAway/VRBO have made this an ongoing struggle. Part of providing a luxury experience is putting travelers in the right property. Some travelers want a location conducive for nightlife, golf, or shopping while others want seclusion and privacy. Also, all traveler groups are not the same. A group of 8 guys looking for a weekend getaway is very different than 4 couples trying unwind, the group size is the same but their needs are very different. In order to provide a luxury experience it’s important to have that conversation and put the travelers in a home that is going to match their needs and expectations. This is not something that can be done messaging back and forth, it requires actual human interaction. Then there is the products and set up of the home. Simple things like providing guests with a small gift at check-in, or having a few beverages in the fridge when they arrive all lead to a happy customer. When the Best Western down the street gives guests clean white towels, linens, and bath amenities like soap and shampoo, as an owner you better do the same if you call your property luxury. Other items like luggage racks in the rooms for their bags and blow dryers in the bathrooms are what travelers have come to expect in terms of accommodations. Sites like HomeAway/VRBO and Airbnb are structured in a manner where they make money on booking your home. So, to protect their interest they control the conversation to ensure the booking takes place on their respective platforms. This results in a very restricted communication gateway for travelers and owners, taking an essential piece of the puzzle away in creating a luxury experience. Even by HomeAway/VRBO’s own date, 71% of travelers require a phone conversation prior to making a booking decision. Vacation rentals are endlessly more complex to fully illustrate to a traveler as compared to a typical hotel room. As these sites continue to push to commoditize vacation rentals like hotel rooms, the more difficult the challenge becomes for travelers to get a true luxury experience. The owners of luxury rentals are being handicapped in the ability to provide that level of service starting at the booking process. Ryan talks about how this was something he saw happening well before many in the industry realized the handcuffs that were going to be put on their marketing and brand efforts. This was a key motivating factor in launching Tripz.com, giving travelers the ability to truly see who they were renting from, and owners the ability to provide a luxury experience from the first touch point. With the introduction of Tripz.com into the vacation rental market, owners have an open and direct path to communicate with travelers. This allows them to properly align travelers’ needs and expectations to the property that will best suit those needs. Travelers want that personal touch when it comes to vacation rentals, and the hotel space lacks the personal touch travelers expect when booking a vacation rental home. As Tripz.com zeros in on the guest experience, open communication reigns as the top priority ensuring guests can get their questions answered, and connect with the owners directly. It’s simple, really: give guests a resource to find the perfect rental for their needs, inform them on who is responsible for executing that rental and connect the two parties for the best guest experience. As the Tripz.com community continues to grow, the founding principles of open communication and the ability to book direct will remain. In fact, Ryan supports these principles with a $100 million dollar guarantee. Owners who have invested in advertising their properties with Tripz.com will be paid back every penny if those founding principles are removed from what makes Tripz.com one of the fastest growing marketplaces for vacation rentals.